The Nike Pumas Day Of The Dead Stadium Jersey is a tribute to Día de Muertos and La Rebel, the Pumas supporter group. 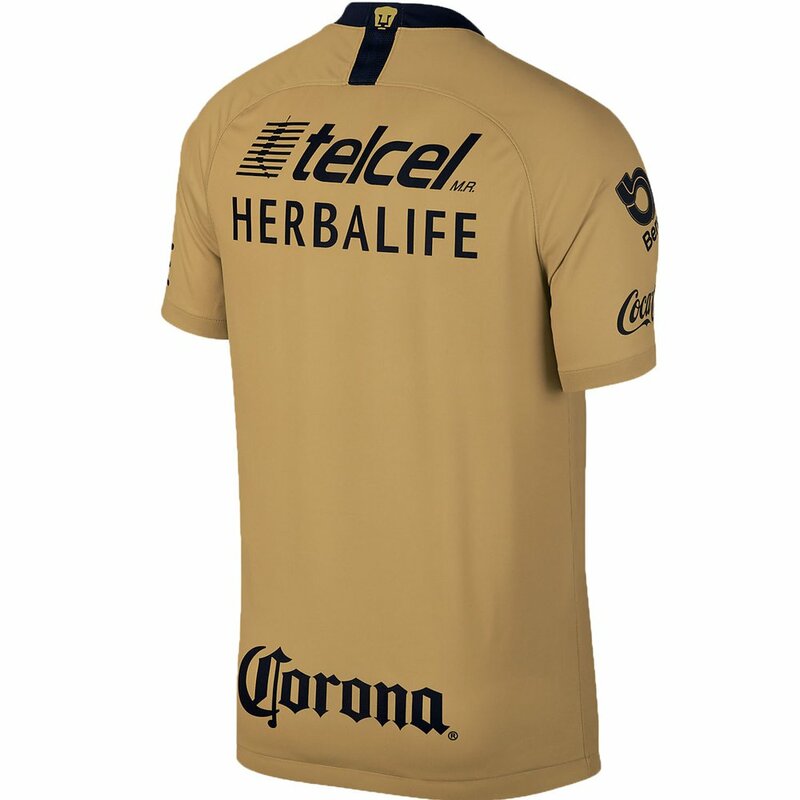 This special edition jersey is gold with the trademark Puma and a pair of bones fits the day of the dead skull and crossbones theme. The Banca Mifel sponsor logo also makes the front of this limited edition jersey. 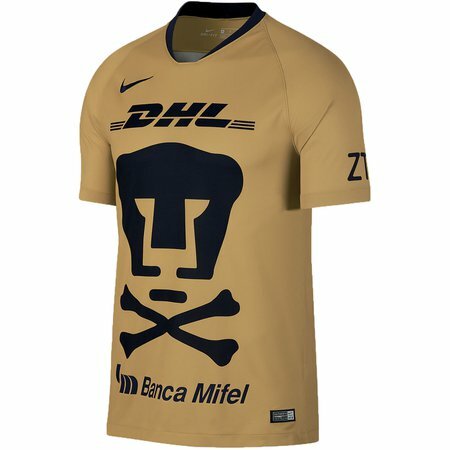 Nike Pumas Third 2017-18 Stadium Jersey - Available at WeGotSoccer! See Also: The entire jersey selection!